You can uncover a string of delights with ease on this classic, nine-night German jaunt, thanks to Balmoral’s ability to dock closer to centre and the main highlights of three stunning cities on your itinerary. What’s more, the river routes into each destination showcase some of Germany’s finest scenery, so hours of daytime scenic cruising is just as memorable and rewarding as time spent ashore. In total, six days of this enticing cruise will be spent in Germany and each will be packed with sights and experiences that are sure to leave a lasting impression. A scenic sailing of the picturesque Kiel Canal starts your adventure. Gorgeous German countryside will be revealed as Balmoral glides along this size-restricted waterway en route to Warnemünde. A pretty seaside city, Warnemünde boasts wide, white sand beaches and an historic lighthouse offering unspoilt views of the Baltic Sea; take advantage of your ships convenient docking location and an overnight stay here to discover these attractions at your leisure. Youll then cruise back along the Kiel Canal, before diverting down the winding River Elbe all the way to Hamburg. Showcasing a mix of stunning Hanseatic-era architecture and stylish, contemporary districts, the diverse, cosmopolitan city of Hamburg never fails to impress. With a day to explore, you could seek-out architectural treasures such as the magnificent Rathaus and the towering St Nikolai Church; see the worlds largest train set in action at the Miniatur Wunderland; and indulge in a little retail therapy at the high-end stores. To learn of Hamburgs seafaring traditions and see the citys striking skyline from a unique perspective, take a memorable boat tour of the Alster Lake too. Finally, its on to Bremen, where Balmoral once again has permission to dock closer to the city centre after cruising the Weser River. 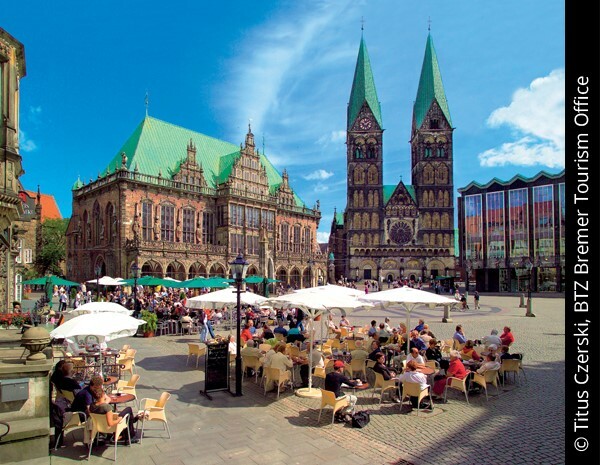 The highlights of this fascinating destination will be within reach to discover at your leisure; the gothic-style structures of Markplatz, Bremen Cathedral and the 15th century Town Hall are among the medley of architectural gems to see on a walking tour. Be sure to explore the medieval Schnoor and modern Überseestadt districts too. Travel to Newcastleand board the ship in the early afternoon. 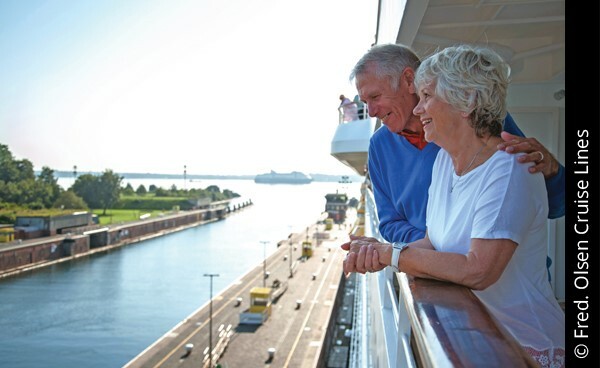 Enjoy the facilities on-board the Balmoral whilst you cruise to Germany. A delightful seaside town with excellent links to many of Germany’s gems, such as historic Rostock and vibrant Berlin, Warnemünde is a wonderfully rewarding destination. With its wide, sandy beaches, traditional pubs and fantastic restaurants serving delicious, locally caught seafood, it is no wonder that pretty Warnemünde situated on the coast of the Baltic Sea is one of Germany’s most popular holiday resorts and busiest cruise ports. There's another chance to savour the Kiel Canal before Balmoral transists the Elbe River into Hamburg. The River Elbe is one of the main waterways in Central Europe. Stretching from the Czech Republic all the way to the North Sea via Germany, this beautiful waterway winds its way through tall hills, past vast plains and alongside pretty towns and cities. The Lower Elbe known locally as Unterelbe is Fred. Olsen's route into Hanseatic Hamburg, Germany's historic second city. This 110 kilometre stretch of water serves as a vital shipping link between Hamburg's busy container port the second largest in Europe and the North Sea, but is also very picturesque. A vibrant, historic city boasting an impressive Hanseatic League heritage that harks back over 700 years, Hamburg’s maritime soul permeates the city. From its architecture to its cuisine, water is ever present in Germany's principal port. The city is crossed by hundreds of canals, and spanned by 1,000 bridges. Near its centre, the charming Inner Alster Lake is dotted with boats and surrounded by divine cafes. 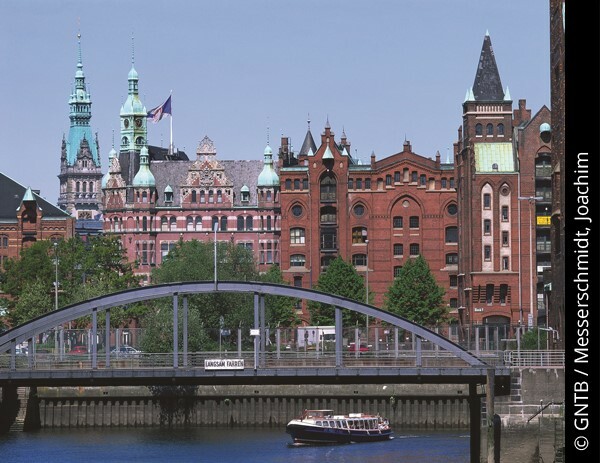 Hamburg is awash with historic buildings and monuments typical of Hanseatic culture. The steeple of St. Nikolai, a church almost destroyed in World War II, the 17th century Zollenbrücke Bridge and Hamburg Rathaus are must-visit sites. The central Jungfernstieg Boulevard connects the Neustadt (new town) with the Altstadt (old town), home to the impressive 18th century St. Michael’s Church. In the city centre, the amazing Miniatur Wunderland museum is highly recommended, as is the ocean-liner-shaped Chilehaus, the crowning glory of the UNESCO-listed Kontorhaus District. Hamburg's waterfront district offers much to enjoy. Visit the popular Fischmarkt, discover an array of lively bars and restaurants at the harbour, watch Europe's second largest port in action or head to Hafen City, a newly developed urban quarter. In contrast, Überseestadt - the former docklands - offers a completely different experience and is a fine example of modern Bremen. Here, a selection of trendy bars, stylish cafes and fine restaurants can be found, as well as a beautiful harbour and yacht-filled marina. Enjoy your last few days on board the Balmoral. Disembark the ship after breakfast and make your way home. *The All Inclusive Drinks Package includes selected beers, house wines by the glass, spirits and soft drinks plus tea and coffee in the restaurants and buffet areas. Many premium drinks and cocktails will be available at a 50% discount. Drinks subject to availability, only 1 drink may be ordered at a time and are for the consumption of the those who have the drinks package included. 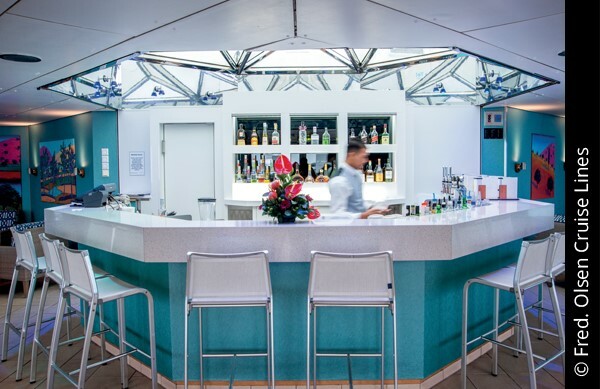 Drinks ordered on room service,(other than those listed in room); mini-bar; drinks bought ashore, Bookmark Cafe chocolates and beverages, all speciality coffees are excluded from the drinks package. Please note that we are unable to offer insurance on this cruise but please contact 247 Travel Insurance on the following number 02392 419 044 and quote reference GRE0578 for a personalized quotation. Insurance must be purchased prior to travel in order for Fred. Olsen Cruise Lines to allow boarding, should you book your cruise and not be able to get insurance, deposits are none-refundable. A variety of shore excursions are available in each port and are booked directly with Fred Olsen closer to departure. A stage deposit will be required within 21 days of booking and the amount due will be advised on confirmation. You can request either the early dinner sitting (18.15hrs) or late sitting (20.30hrs) at time of booking and we will endeavour to book this with Fred Olsen but please be aware that the time is subject to availabilty and is not guaranteed.